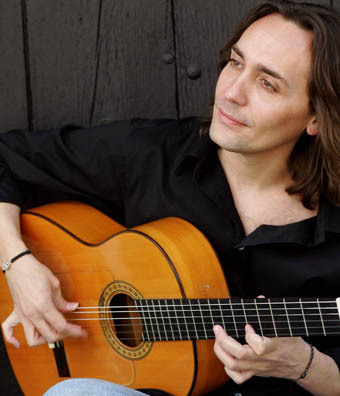 Classical guitar action and flamenco guitar action are some of the topics more popular within the guitar blogs and they are subject of discussion among guitar fans all over the world. Everyone has an opinion about it and people come across with different arguments bringing measures, suggested strings heights and different data as if this were a mathematical question. Each guitar manufacturer / luthier have their one point of view about String Height and and guitar action and each guitarist too, so what is the perfect guitar action for your guitar? The answer is no mathematical even though there are some standard assumptions defined for string height in a flamenco guitar or classical guitar. 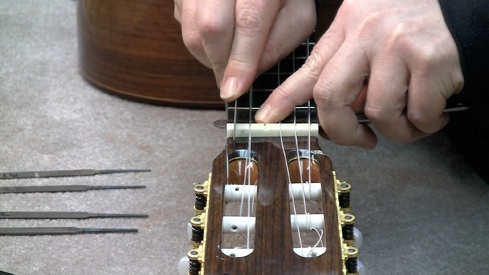 It is in the public domain that the height of the strings on a flamenco guitar is lower than on a classical guitar. The reason has to do with the way to play flamenco and the sound and effect they want to produce with it when they play “rasgueados”, “ligados” or “falsetas” for example. The desired sound in flamenco is sharper, more explosive and with plenty of attack. Some flamenco guitarists want to move along the fret board really fast too with a quick response and a more percussive and rhythmic sound. Some controlled “buzzing” is not only allowed in flamenco guitars but also desired as part of the inherent sound of flamenco guitar music. In the other hand, classical guitars have higher action because they need a cleaner, more precise sound with more sustain and volume for each individual note. 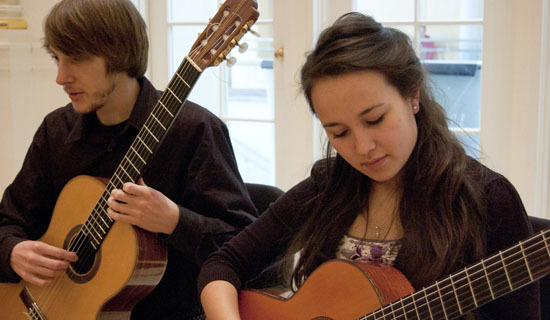 That higher action is more noticeable in concert classical guitars than in student models. The hands of an student is not as strong and trained as the hands of a professional concert player and the need of higher volume is not as important in an studio model than in a concert model. Crossover guitars and electroacoustic guitars are basically classical guitars adapted to a more general use than just flamenco or classical music and they are more and more popular among the guitarists for their versatility and easy of use. They normally have an action in between a flamenco guitar and a traditional classical guitar and in some cases they have narrower necks and even a bit of radius in the fret board like in the case of the crossover models. The incorporation of pickup and preamps makes not essential a great amount of volume of the guitar when not amplified. How we perceive action is also affected by the tension of the strings – the higher the tension, the harder it is to depress the string, and the “harder” we perceive the action to be. For those who love figures, I will give some general measurements of classical and flamenco string heights but don’t take those as a fix pattern to follow, as I said before, they are different opinions from guitar manufacturers and from guitarists and they are other factors involved in the right action of a guitar like the neck angle, shape of the neck, etc. At the end of the day, this is something very personal too and if you are happy with a certain string height and you play your guitar comfortably you don’t have to worry about anything else. Nylon strings have a little less tension than steel strings, therefore little bit more circular movement. Because of the lower tension though, they are a lot easier for the hands to press down to the frets. A good classical or flamenco guitar does not need to be played hard to get a good loud sound, but a cheap one will usually not have the best response and sensitivity. You gotta figure out what works best for you, your attack style and the guitar. if you use higher tension strings you can sneak lower and vice versa with lower tension strings. then you need to figure out how much buzzing is acceptable (Flamenco guitars). Feeling right is for me the basic point. Don’t take the ruler, just play the guitar and if the guitar respond to you as you play it and you feel comfortable with it, then you have the perfect action. I know many luthiers that would not answer the question of what is the right action for the guitar. They would just say “depends on the guitar”. Experience and “know how” is essential when it comes to choose a good guitar and rely on it for years. You may buy a guitar that have a correct action when new and weeks or months later the guitar is practically impossible to play. Low quality woods or not properly dried woods can make your guitar neck twist or bend in no time with difficult or impossible readjustment. Guitar manufacturers like Alhambra guitars, Raimundo guitars, Camps guitars, Ramirez guitars or Prudencio Saez Guitars, just to name a few pay a great attention to the action of their guitars, even the entry models have the right standard action for its purpose. 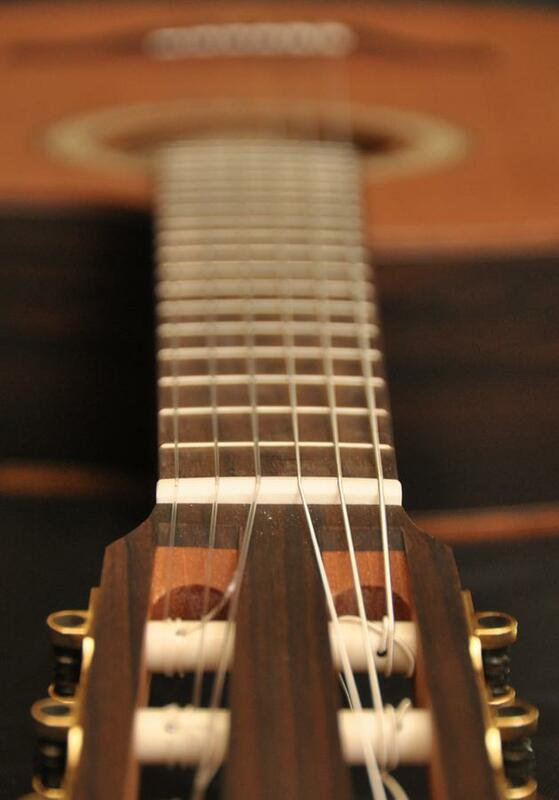 They have different angles for the neck in classical guitars or flamenco guitars (Its not just the height of the saddle as some people think). Also the “spanish heel” construction gives great stability to the neck of those guitars, contributing to more stable action of the guitar for years. 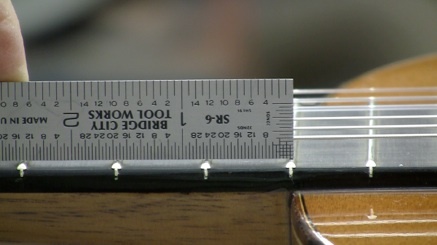 Some of those manufacturers use the traditional method of neck construction for their guitars with the implementation on some models of an ebony strip inside the neck like Alhambra guitars, Ramirez guitars or Raimundo guitars and others like Camps guitars or Prudencio Saez Guitars implement Truss rods in the neck of some of their models for stability and future modifications of the angle and action of their guitars. Which ever method they use, you can rely on them because they have been designed with performance and stability in mind and they have been proved to be effective on few generations of guitars. 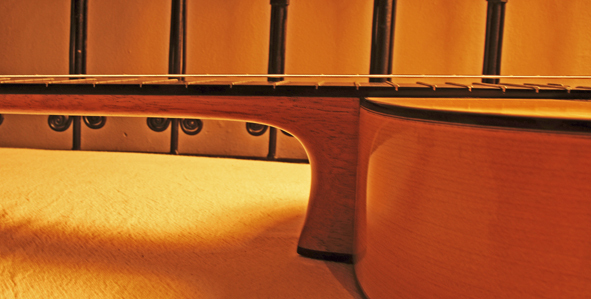 Even though the standard action of most well built guitar should satisfy the majority of performers, they are some that requires a personal adjustment to their playing techniques. That is possible to do it in a well built guitar but we recommend you to be done it by a professional luthier or guitar technician. Its not a big job and it should not be expensive but it should be done properly. One of the first things to adjust in a classical or flamenco guitar if you want to change the action is the saddle, by lowering it dow or by putting a new higher one. Some times is necessary to touch the nut bone as well or replace it for a new one but that is usually not very common. 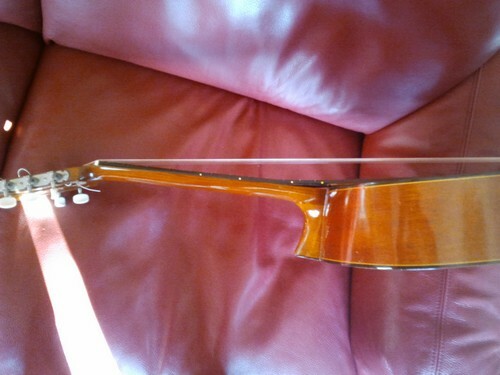 If your guitar has Truss Rod the technician or luthier may touch it as well or in stead of one of the above operations. It would be ideal to be there while he/she perform the adjustment so you can try your guitar during the adjustment until is set to your complete satisfaction. Last tip for this, don’t get obsessed trying to find the “perfect” all most impossible adjustment or action. You also have to adapt your technique and your hands to your guitar and that will happen much sooner than you expect. Guitarist that play classical guitars, acoustic guitars and electric guitars and switch from one to another knows that its possible to adapt to a completely different neck and action and its got many advantages, much more than expecting that your guitar will get adapted to you. Posted in Acoustic Guitars, classical guitar music, Classical guitars, electro classical guitars, electroacoustic guitars, flamenco electric guitars, Flamenco guitar music, Flamenco guitars, flamenco instruments, flamenco music, flamenco players, guitar, Guitar for beginners, guitar music, Guitar players, guitar techniques, guitar tips, musical instruments and tagged Acoustic guitar, adjusting string height, alhambra guitars, alhambra guitars uk, best action for classical guitar, best action for flamenco guitar, best classical guitar, best flamenco guitar, buy flamenco guitar, buy spanish guitar, classical guitar, classical guitar strings, classical string action, flamenco guitar, flamenco guitar price, flamenco guitar strings, flamenco guitars, flamenco string action, Guitar, guitar action, how to buy spanish guitar, raimundo guitars, ramirez guitars, spanish guitar, Spanish guitar making. Bookmark the permalink. Yeah, You are right about that ” this guitar is really looking classical” and I really love that type of guitars.